Known by most as the G-bar or (to the in crowd) G Love. 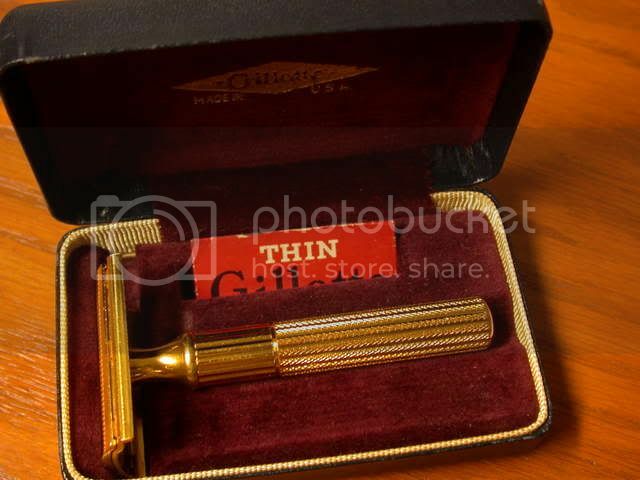 Schick Type D, from 1935, the first Injector razor. 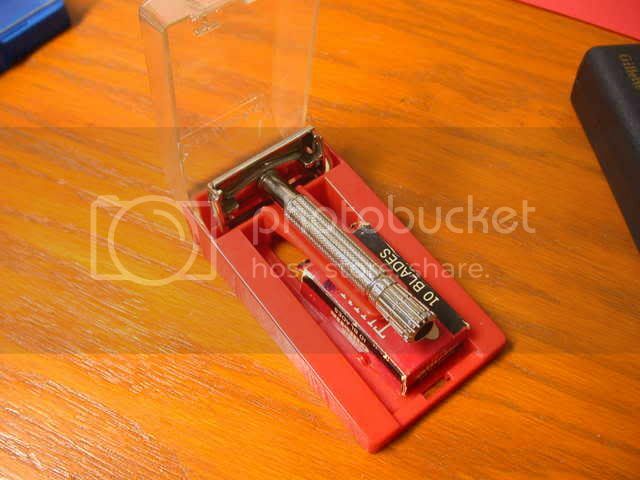 Although this was the fourth Schick model produced, it was the first to use the blade loading system that became the standard. Note: the entire handle rotates to clean behind the head. Has a built in injector in the handle. Super cool! 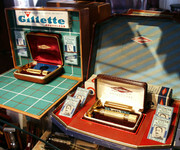 3 Early Gillette Pocket Editions, One has Monogramed Case and Razor Head. 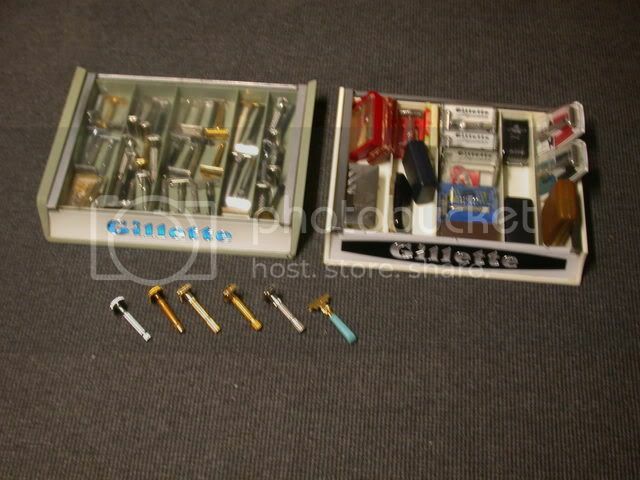 Gillette 1966 Travel kit. 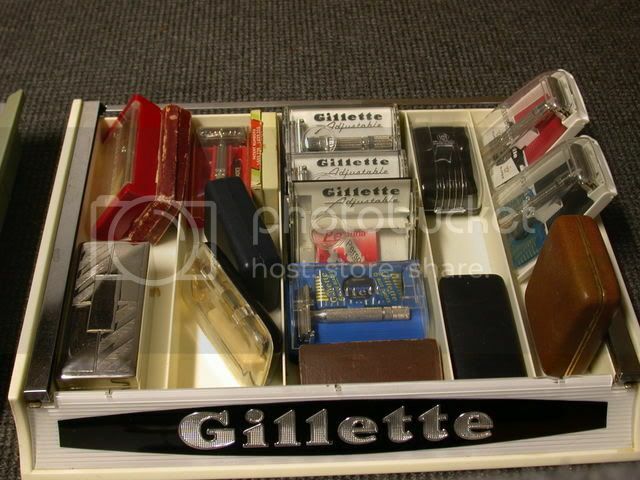 Bottle of Sun Up Aftershave, Gillette Foamy with K-34, Heads Up Hair grooming, Package of 2 Gillette Super Stainless Blades and a 66' Super Speed and case. Custom made staghorn handled Gillette Atra. The top portion of the handle is encircled with a sterling silver overlaid band. Custom made Tiffany 18k travel set, Measues 2" x 1-3/4" x 1/2" and comes with a wool protective pouch. 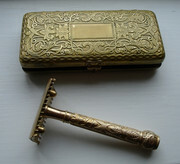 Set contains a Gillette brass open comb head with a telescoping handle that is either gold or gold plate and a pack of Wilkinson DE blades. 1904 handle Slant-bar; No manufacturer markings. Purchased in Germany. 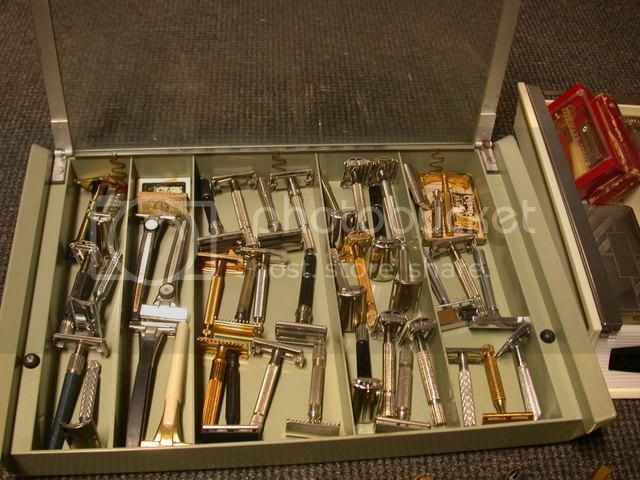 Pre-WW2 Apollo Slant-Bar: I guess by the patent the original designers of the Slant; (German Patent) D.R.G.M. 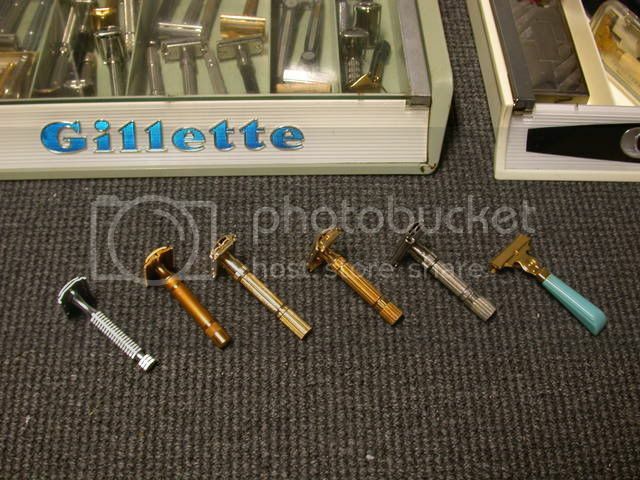 Unknown Gillette. Big Fellow type handle, but with NEW style head, in gold. If you know anything about this, please refer to this thread.